I spent the first couple of days after breaking my ankle recovering in Whisper and Mailman’s guest room. They were at work most of the day so I watched a lot of netflix, and usually took a field trip downstairs in the evenings just for a change of scenery. 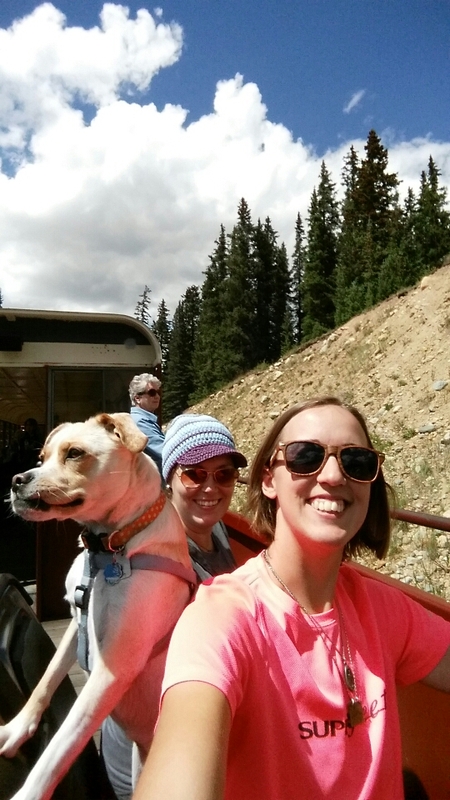 By the third day, I was going stir crazy, but luckily my friend Maggie was driving by on her cross country road trip so she picked me up for a trip to Leadville. 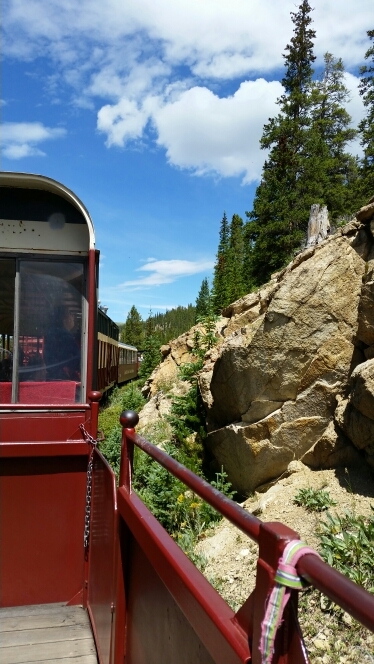 We grabbed sandwiches and then hopped on the Leadville Colorado and Southern Railroad for a scenic ride out into the mountains. That night after dinner, I saw that Alex Honnold was speaking in Boulder on the “Relativity of Risk.” He’s a free solo climber so he definitely has some interesting views on risk versus consequences. We couldn’t get there in time but were able to stream it live. It’s part of The North Face’s speaker series, which I will definitely keep an eye on in the future. We also saw that polar explorer Eric Larsen was speaking in Boulder the next night and made plans to go there. Wednesday morning I had my follow up appointment at the clinic in Leadville. The PA I saw there gave me a walking boot and told me I could be weight bearing now if I want, partial or full, as much as was comfortable. My fibula is fractured and since it’s not a weight bearing bone and the fracture is non-displaced, it’s really up to me how much weight I put on it. She even said I don’t need to see an orthopedist at all but I still plan to follow up and get started on physical therapy or whatever else I need to do to be able to hike again this fall. I am much more optimistic for that now. After the appointment, we celebrated with milkshakes and second breakfast at the Golden Burro, a great cafe full of history. Then I let myself buy some fleece pants at Melanzana, made right in Leadville, since I’d be wearing a giant boot for a while and they’d actually fit over it and be comfortable. Later I realized I was going back to NJ in August so it might be a bit warm for them, but they will definitely be great for hiking in this winter! We ran back to Minturn to pack and then headed to Boulder to see Eric Larsen. 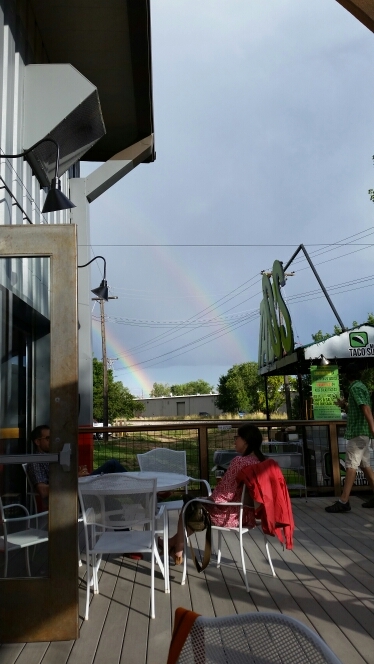 We got to the brewery early and had tacos on the deck before the Beyond Talks speech got started. Polar travel is not something I want to try myself but it was super interesting to hear about, especially the close encounters with polar bears. Larsen mainly talked about his “Save the Poles” expedition, in which he went to the North Pole, South Pole, and the top of Mount Everest all in a one year period. 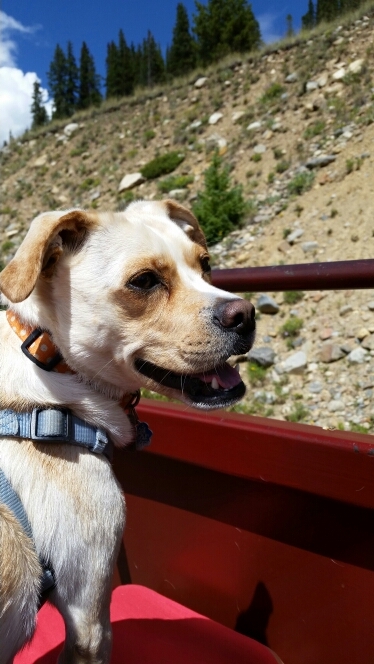 We went and stayed with Caboose in Denver for the night and I flew back to Philadelphia yesterday. 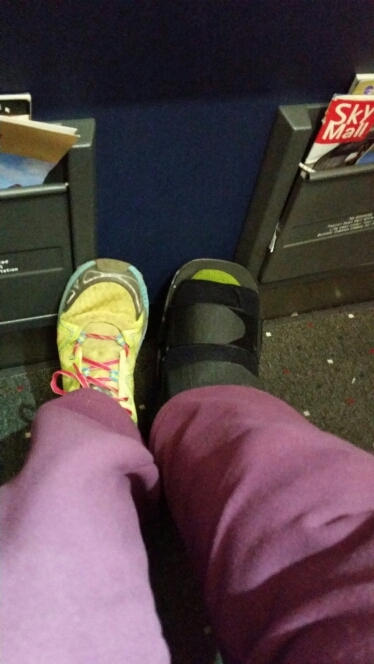 I didn’t think my boot would fit between the seats in coach but they were nice enough to give me a bulkhead seat so I had extra foot room. I also got pushed through all the lines in the airport in a wheelchair and was delivered to my gate on a motorized cart. I’ve made an appointment with a sports medicine guy following Labor Day so I will have more information then.